If you’re considering a Learning Management System (LMS) for your organization, don’t let price hold you back. It might cost less that you think. Compare and contrast these various online eLearning pricing models & find the best fit for your organization. There are several types of LMS pricing models to fit your budget, the current skills of your workforce, the amount of learners you’ll have and your organization’s learning objectives. Whether you choose a cloud-based pay per learner model, a limited licensing fee model, a perpetual licensing fee model, a free learning management system, or other type, your decision for which eLearning platform to use should be based on what will give your organization the best ROI and benefit your workforce the most. 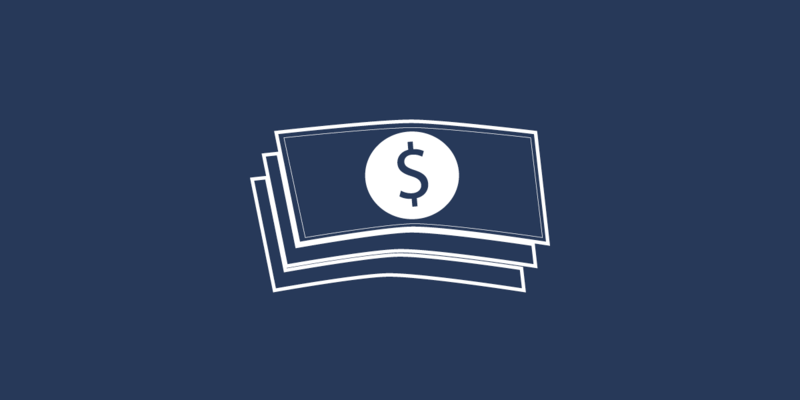 There are a couple different types of Licensing cost models for LMS platforms, some of which include: an annual license, a perpetual license and a consumption license (pay per use, learner or Active learner). There are several positive and negative aspects for each type of eLearning pricing model so it’s all about factoring in which features you’ll need vs. what you probably won’t use, the price point and number of active users you’re expecting to have. With this information in mind, you can begin researching different platforms and weighing the pros and cons of each. With a cloud-based pay per learner platform, users are not required to install any courseware since everything can be accessed via their browser. This is quite convenient for staff members who may be accessing learning modules at places other than the office. For smaller businesses, this can be a lower cost option; however, as your number of users grows, this option can become more and more costly. A pay per learner pricing model can range from $5 per user per month to as little as $0.50 per user per month, depending on platform, feature set and number of users. Just like the pay per learner model, any cloud-based pay per use platform can be accessed anywhere. One difference between the two is that instead of being clear on what it is you’re paying for with the per learner model, each LMS has a different definition of “use.” This can become confusing since some platforms may consider “use” as a learner completing one section of a lesson while another platform might define “use” as a user completing an entire lesson, or even by course attendees. As a result of this confusing “per use” pricing model there is a potential for higher cost than expected, depending on the amount of users and the features they’re using. Many cloud-based pay per user pricing model can range from $0.50 to $10 per user per course. A pay per Active learner model allows you to only pay for those who are working through online courses. If half of the company is inactive, this can be a cheaper alternative than a pay per learner model which might keep charging you for each user even if some are inactive. If you’re not sure how many learners will actually be working on courses, this could be a great option for you. An eLearning platform with a limited licensing fee model will usually mean paying an annual fee. With a limited licensing fee, you’ll be charged one flat rate each year no matter how many users you have or features you use. The licensing fee model is best for larger organizations who are planning to expand and have a large user base of active learners. Unlike an annual fee model, a LMS platform that uses the perpetual licensing model has a fee that is paid one time and your organization has access to all aspects of the software and usually, unlimited users. One potential negative of this model is that while upgrades are sometimes included or allowed at a discounted rate, upgrades may need to be purchased in the future. Another negative is that, usually, a platform that uses the perpetual licensing fee model needs to be self-hosted, which can require more set-up time. This can also be inconvenient for users who want to access the software from home if it’s only going to be installed on company devices in the office. Finally, you have to maintain support for the platform and user community. While with a perpetual licensing fee model you may be able to pay all at once instead of worrying about monthly or yearly fees, this can be an expensive pricing model since you may be paying for users and features that aren’t being used as much as you had estimated. The average cost for a limited time licensing fee model or a perpetual licensing fee model can range anywhere from $500 to tens of thousands of dollars per month or per year. It all depends on which platform you choose. For organizations that are on a tight budget, free learning management platforms are an obvious first choice. What these systems offer in price point, they tend to lack in features, customization, support and services. For an organization that is interested in expanding core competencies by sharpening their workforce’s skill sets, the features required of an appropriate LMS aren’t usually found in a free eLearning platform. A clear disadvantage to free platforms is the source of fixes or changes that you might want. Someone will still have to investigate and fix problems you discover, and how quickly these might be addressed depends a lot on the platform and support available. New features or perhaps feature enhancements you need may take a long time to appear. With Avilar’s online learning platform, WebMentor LMS™, your organization can deliver and track training and tests quickly and easily. Some of WebMentor’s key features and capabilities include: blended learning, certification management, an adaptable learner interface, support for integration with existing eLearning portals, and more. One important aspect of WebMentor LMS™ is that it’s available either online and hosted by Avilar or installed. Online, WebMentor LMS™ can be up and running in as little as one day while customers who prefer to install and run the software application on their own in-house servers can license the application and be up and running almost as quickly. Avilar offers two pricing models for hosted customers. We have a pay per learner model which tends to be preferred by companies since learners can take as many courses as they want, and the company receives a monthly or annual bill that is predictable. Prices can be between $1 and $5 per-user-per-month depending on volume. We also offer a per use pricing model where the customer gets charged for each course taken. This model is preferred by organizations selling courses since they only get charged for users when they pay for a course. There are no additional fees for inactive users. Usage patterns and the number of users will determine which approach is best. Fees for this tend to be also between $1 and $5. Avilar also offers fully managed servers with the LMS for larger customers. This can cap the fee for larger user communities at a fixed price. Learn more about WebMentor LMS™ and to start the process of implementing an eLearning platform that works for your organization, contact Avilar.